Just fabulous, Shannon! Love this sweet, sweet scene! So adorable! Such fun cards to be made with all this new stuff! You've done such a great job of showcasing this release, Shannon. I love it all! SO SWEET! I really love this card and all the layers you added! So cute! 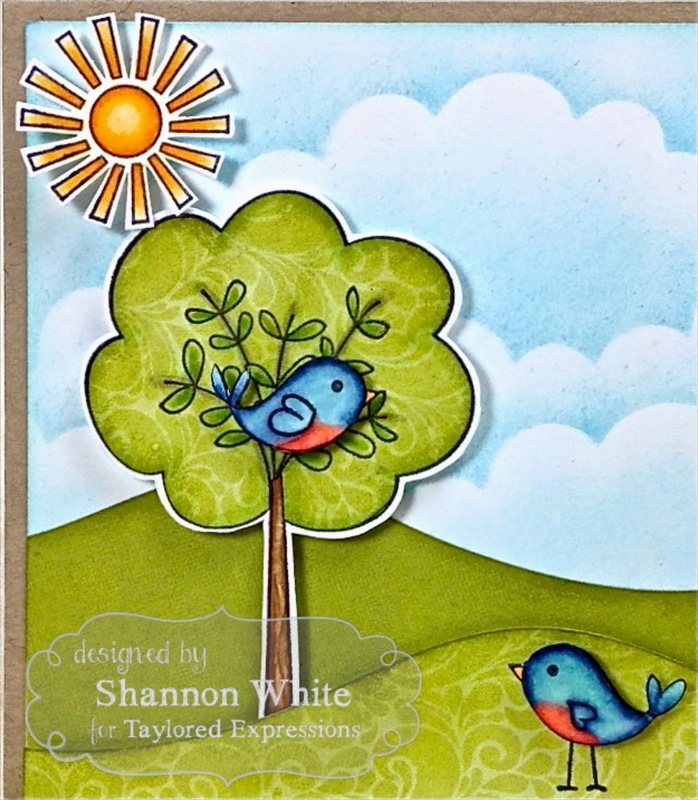 Love the papers used on this card, it's just so adorable! what a sweet little scene - love the little guy in the tree. You've created a beautiful scene!! Great sky ! Your card is wonderful! I love the colors and the images too! All great minds. I just ordered a stencil with all of these components yesterday!! Love yours better though, now that I see it!! 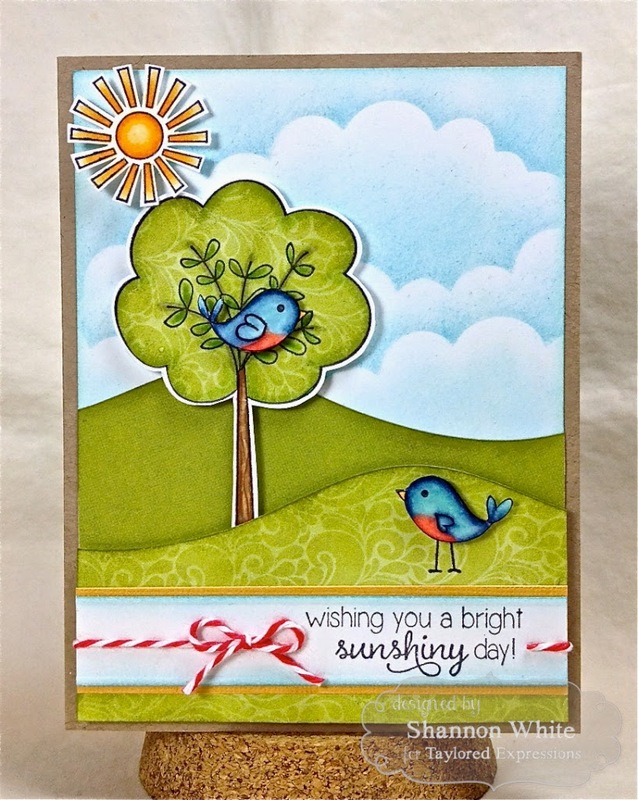 Gorgeous scene and your birds are so bright and bold - love this!